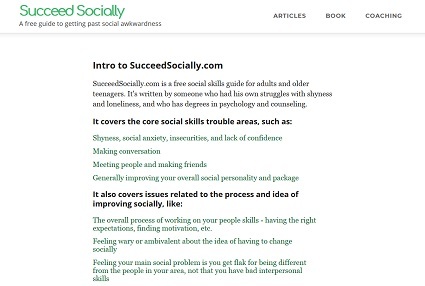 Poking around on various message boards about social skills I've read a few posts by people complaining that their friends sucked. They'd say that their friends were boring and never wanted to do anything, or that they were flawed in some way. Their overarching concern was they thought their friends were holding them back. At least having friends is better than nothing, but what do you do if you're not that crazy about the ones you've got? If this applies to you there are two issues to consider: One is that on some level your friends may have problems. You wouldn't be complaining about it otherwise. And it happens. Sometimes people aren't matched well with their social circles. The other issue is that it's possible you're being too critical of them. This article will assume that your friends aren't legitimately abusive or toxic people. People like that obviously need to go. The ideas below are more about what to do when here's nothing horribly wrong with your buddies, but you vaguely feel you could do better. I'm putting this point first because it can be relevant to those who have social issues. 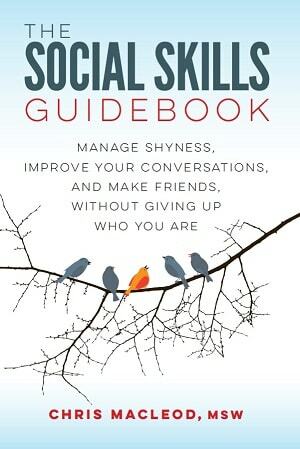 Sometimes people who struggle with social situations have a tendency to be too negative and down on others. Whether they have a social circle that's just beginning to form, or they've been hanging around a group for a while, something inside them always seems to be saying, "Ah, I don't know. These people are kind of lame. I think I should forget about them and go back to the drawing board." Someone may be insecure and subconsciously rejecting other people before they reject them. They're naturally be a tad negative and tend to see the flaws in things, including people. Their nature may cause them to overlook their friend's good features. They're socially inexperienced and have unrealistic standards about how their friends should be. They may be seeing totally normal 'flaws' as deal breakers. They're socially inexperienced and tend to get a little peeved by many situations because they're not totally used to them yet. This includes hanging around with new buddies. They may have an unrealistic sense of their social value, and falsely think they're only worthy of hanging around the most engaging, popular people. They don't realize they're mainly attracting 'average' friends because they're pretty typical people themselves. They may be insecure and overly worried about their image and think hanging out with 'flawed' people will reflect badly on them. They may be struggling with their own supposed flaws and feel uncomfortable and conflicted hanging out with anyone who is too similar to them. If you suspect you have that tendency to be too hard on people then take your urges to drop your friends with a grain of salt. Instead, try to stick it out for a bit longer and give them a chance to grow on you. If things still don't improve there's nothing stopping you from not hanging out with them in the future. If you feel like your friends are dull you can often make them seem less boring by doing more fun things with them. That gives their boring nature less of an opportunity to show itself. At the same time, it gives them an opportunity to cut loose and show a more colorful side of their personality. Also, the good feelings you get from doing something fun will rub off on them. On the other hand, if you always interact with them under the same barren, tedious circumstances, of course you're going to have a boring time. Even more engaging people can seem lifeless if they have nothing to work with. If you feel like you have dull friends then don't just sit around someone's stark apartment and aimlessly watch TV week after week. Whatever you do, don't be boring yourself. Be an interesting conversationalist. Joke around. Have lots of ideas for things to do. If they resist certain suggestions then try to find some way to compromise or meet them halfway. Another thing to try is interacting with people in different combinations. A guy who seems boring one-on-one may be quite fun to spend time with in a larger group. Conversely, some people who are quiet in larger groups come alive when you get them on their own. Finally, some people are only fun in certain situations. If worse comes to worse, only see them under those circumstances. Many people have friends who they have fun hanging out with at bars or parties, but who they don't click as well with in other situations. Originally I almost didn't include this point because it feels selfish and Machiavellian. Whenever I periodically revise my articles I always take a minute to consider whether I should remove it after all. I think it is an option some people take though, so it's worth mentioning. You can always choose not to do it. Sometimes even if you're not totally crazy about your friends you can still use them to access fun situations that you wouldn't be able to otherwise. Like you may not want to go to a movie, concert, party, or bar by yourself, but if you go with your friends then you can enjoy that situation on your own once you're there. Maybe you're happy with your friends for the most part, but they have no interest in taking part in a certain activity with you. With time this unmet need can grow into a point of contention. You may be considering dropping them entirely when there's really just a few areas where they're not meeting your needs. In that case get some other friends for that activity. You don't need to have all your needs met by one group of people. You can compartmentalize. A lot of guys have shallow 'hobby buddies' so in particular this often won't seem like a big deal to them. For example, their main group of friends may be homebody gamers, so they have another group they call up when they want to go out to the bars. In general I think it's good to give your friends the benefit of the doubt and try to make the best of what you have to work with. However, if you're really not feeling it then you'll obviously want to move on. Sometimes you just aren't a good fit for the people you hang out with. Don't beat your head against a wall too much trying to change people who just aren't a match for you. Check out How To Make Friends And Get a Social Life for some advice on making new contacts if you haven't already seen it.